You can use these as digital stamps, create digital stickers, use them for hybrid projects ... the possibilities are endless. Amy Kingsford created this beautiful digital page using the images to create a lovely background. I just love the look of this neutral background and photo with the colorful additions center stage. 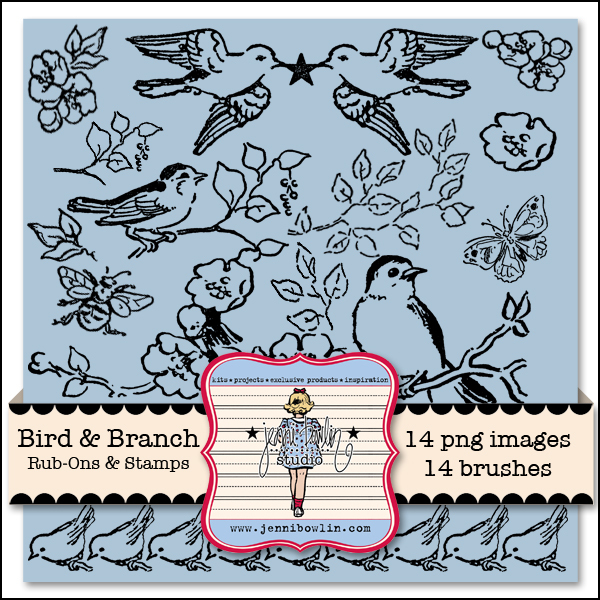 by Amy Kingsford Featuring the Birds & Branches Brush set. 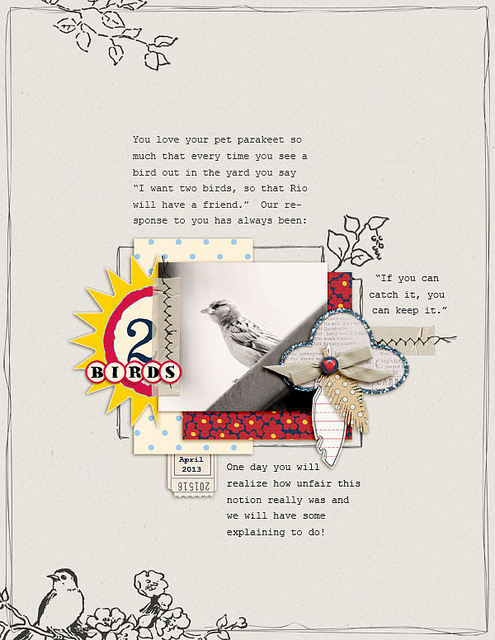 Supplies: Jenni Bowlin Studio Digitals: Birds & Branches Brush Set, Play Date Collection; Feathers Stencil Cut, Printed Tickets - Expressions, Souvenir Embellishment Kit; Creashens: Bare Necessities Papers, D'Ink Borders, Afternoon Delight; Dawn by Design: Almost Done Template Vol. 4. 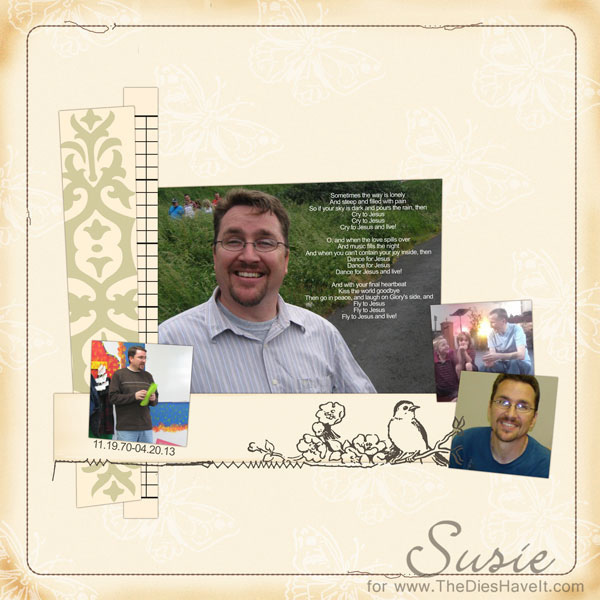 Susie Moore used an image to create a "shelf" from which the layout is built on. Visit JessicaSprague.com and participate in the Arbor Day Celebrations! 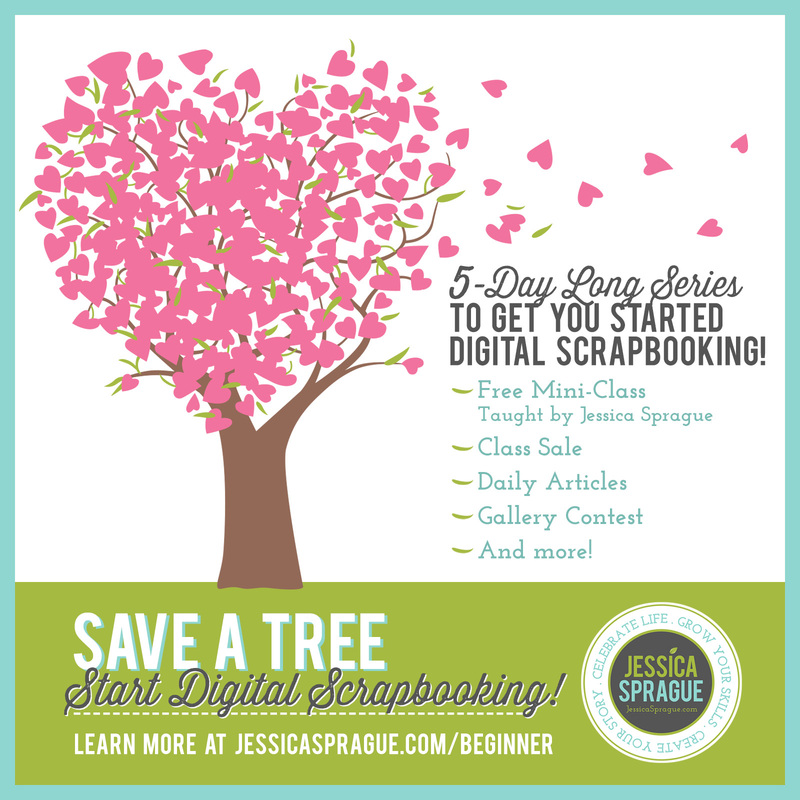 There's a contest that runs until May 1st - you still have plenty of time!